Rice cookers are ideal for the way we cook today. They are versatile and convenient, with one-button operation and a conveniently small footprint on your kitchen counter”plus, they can be cleaned in a flash when you are done cooking. Rice cookers make foolproof rice and beans, of course; but, as Beth Hensperger shows in this collection of the 100 best recipes from her earlier Ultimate Rice Cooker Cookbook, they cook a whole lot more than you might have thought. Here are all sorts of grains beyond rice, including quinoa, millet, and couscous, as well as all the popular pulses and legumes. In these pages, you will also find custards, hot cereals, and puddings, which, it turns out, cook up like a dream in the rice cooker. For substantial meals, there are a host of tasty and easy-to-make risottos, pilafs, chilis, stews, and soups, some with meats and some vegetarian. 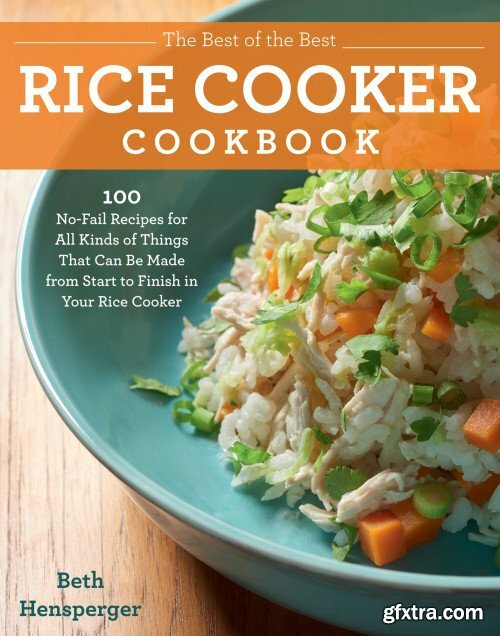 Unlike the earlier book, this new book has beautiful color photos to inspire you, as you make a heartwarming Sweet Brown Rice with Curry, Carrots, and Raisins; a zippy Fiery Pineapple Rice with Cashews and Cilantro; or a comforting Millet, Squash, and Sweet Pea Pilaf. Never has such a humble and simple-to-use kitchen appliance seemed so powerful and full of promise.